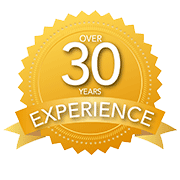 Express Mobile Storage Solutions commitment and dedication to our clients, is evidenced by a thirty year professional service history in the mobile storage business. Mobile Storage has always delivered cost effective and secure temporary storage solutions to our many valued clients. We provide trailer rental and sales services with excellent service at competitive prices. We also provide container rental and sales with various customizations at affordable prices. Finally, we have secure parking and shunt truck rentals throughout the year to meet all of your needs. We service many parts of southern Ontario including Toronto and the immediate areas such as Burlington, Brampton, Hamilton, North York, Vaughan, Pickering, Ajax, Oshawa, Markham, Scarborough, Etobikoke. We also service extended areas including Niagara, London, Guelph, Waterloo, Kitchener, Fort Erie, and Windsor. No matter what your current storage needs, we will provide a flexible and inexpensive solution that saves you or your company time and money. Contact us today to find out which affordable storage solution fits your specific problem.